Dr. Neil Hermannsson is a cosmetic dentist with an emphasis on preventative care to keep teeth healthy for life. "Successful cosmetic dentistry is built upon a foundation of healthy teeth and gums. 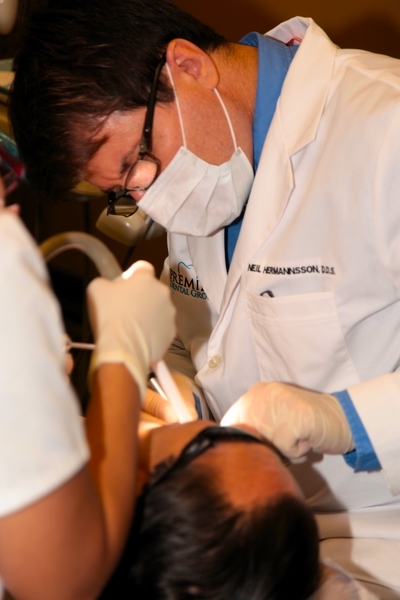 "With 20 years of clinical experience in oral surgery, root canal therapy and cosmetic dentistry, he is able to meet the comprehensive needs of patients. He attended Cornell University in Ithaca, New York, where he studied Neurobiology, before attending a Master’s program at SUNY Genesco. He graduated from The University of Buffalo, School of Dental Medicine with the highest honors in the instructional program of Fixed Prosthodontic Technique and Advanced Dental Ceramics. "It brings me great satisfaction to make available to my patients the latest in technology in cosmetic dentistry."